The tin-plated copper Embleton Copper Bateau Bath really is gorgeous. A silver sheen is provided with a full tin plate for both the interior and exterior, giving it a sophisticated yet fun look. 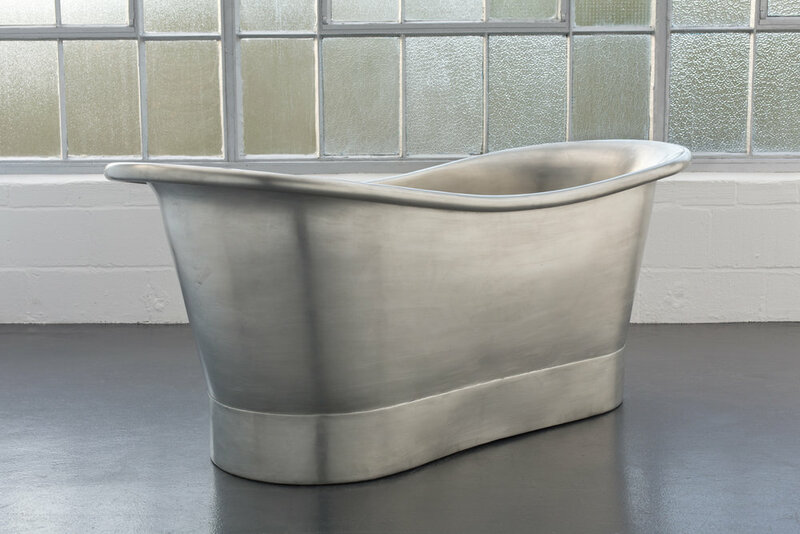 Both adults and children will simply love this uniquely finished bath and it provides a refreshing change from the enamel baths we’ve come to identify with conventional bathrooms, giving it that gritty industrial feel that’s both original and unique. The Embleton Copper bath provides all the usual trademarks of our specially created baths, with high gauge copper and hand beaten, polished and sealed bath that’s hand finished to perfection. Take the standard size from our warehouse or you can have it custom made to your measurements. The standard size we provide is (l)1700mm x (w) 705mm x (h) 710. 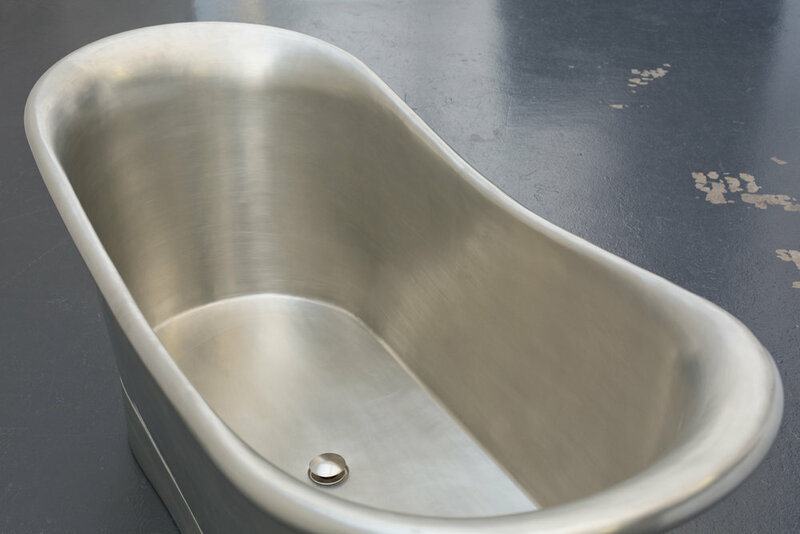 However, if you need a bath outside of the standard range, we’ll create one specifically to your requirements, taking around 8 weeks to manufacture and deliver.